Did you know that it’s good luck to see a chimney sweep on your wedding day, and most especially to shake his hand or be kissed by him? It is also considered good luck to touch a chimney sweep particularly early in the morning and to be greeted by a chimney sweep carrying a pig on New Year’s Day. Chimney sweeps have long been considered a source of good luck. The association of chimney sweeps with good luck, health, and prosperity obviously has its source in folklore. One legend has it that it all started in medieval England when one day the King was saved by a Chimney Sweep, who pushed him out of the way of a runaway horse and carriage. 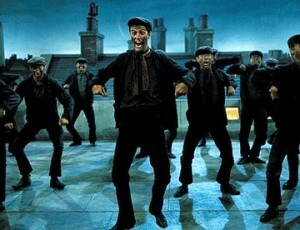 As a reward for his good deed, the King decreed that all Chimney Sweeps should henceforth be regarded as lucky. Still another tradition goes back, so it is said, to a chimney sweep who lost his footing and fell from a roof. He was caught on the gutter and hanging by his foot when a young lass, whose hand was intended for another, reached through the window and pulled him in saving his life. They fell in love and the two were later married. Ever since, it has been considered good luck to have a chimney sweep at a wedding or special event, or to visit your house. Even to this day, chimney sweeps are invited to weddings to kiss the bride, assure a good start to a happy marriage, and to extend good fortune to the new hearth and home. Chimney sweeps are often associated with a number of other good luck symbols. For example, pigs and chimney sweeps are often linked together in tradition as good luck charms. It once was customary for the town chimney sweep to tote a pig through the streets on New Year’s Day; people paid a small sum to make a wish while pulling a hair from the pig. As seen in many of these pictures, chimney sweeps are often shown together with various symbols of good luck and good fortune such as pigs, shamrocks, four leaf clovers, horseshoes, and sacks of money. Today, a Chimney Sweep remains a symbol of good luck, wealth, and happiness. So when you meet a Chimney Sweep remember to shake his hand for luck, for it’s a safer home you have when you use the services of a professional Chimney Sweep.